A recently completed commission of a scarf with the logo of a GAA club in Co. Wicklow. I’m really happy with how my colourwork turned out. 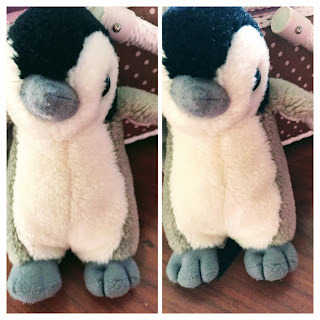 This poor little penguin lost the stitching on one of his feet. Luckily it was a quick fix!